Hi my name is Lachlan Gibson and I am one of the friendly sales consultants at Toowong Kia. 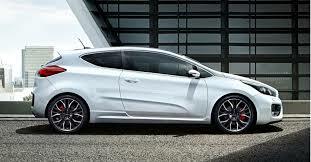 Today I’m writing a review on the amazing YD Cerato Koup range. 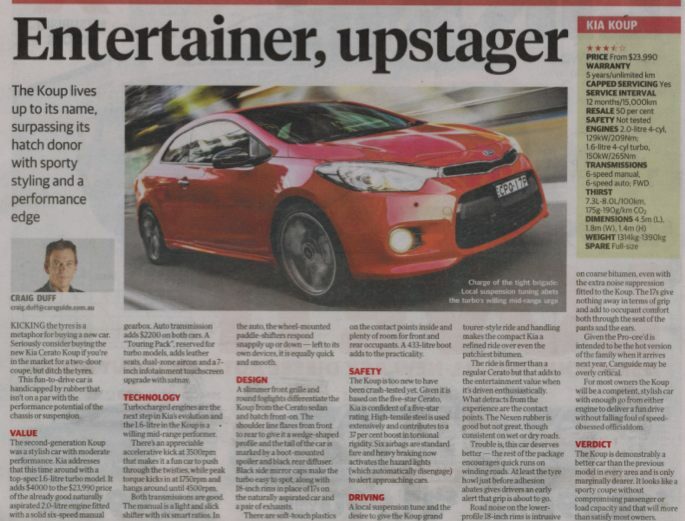 The Cerato Koup was Kia’s first ever petrol turbo vehicle to be released to the Australian market and has been released in three different variants the SI, Turbo and the top of the range Touring pack model. 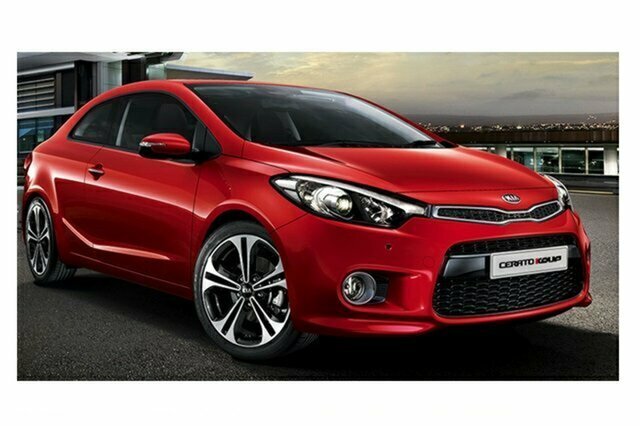 The Cerato Koup comes with the option of two different engines, the 2.0 litre GDI (gasoline direct injected) engine that comes with the SI model and sports 129kw of power and 209Nm of torque with the option of either the 6 speed manual or the 6 speed automatic. 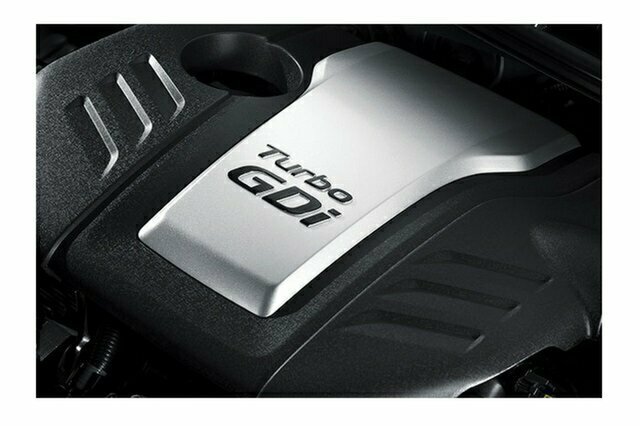 The Turbo and Touring pack models come with the new 1.6 litre turbo GDI engine which has 150kw of power, 265Nm of torque and the ability to push the Koup from 0-100Km/h is only 7.4 seconds, the turbo is also available in both manual and automatic. The exterior on the Koup has changed dramatically from the previously popular TD Koup, the new design has given the car a more luxurious European look that is bound to appeal to a larger market and increase the global sales tenfold. At the front of the new Koup they have redesigned the headlights and the front grill to give the car a more aggressive and sporty look, as well as adding day time running lights to the YD Koup which not only makes the vehicle look better it also increases the safety and visibility of the vehicle during the dangerous twilight periods and front cornering sensors to assist the driver with parking the vehicle. 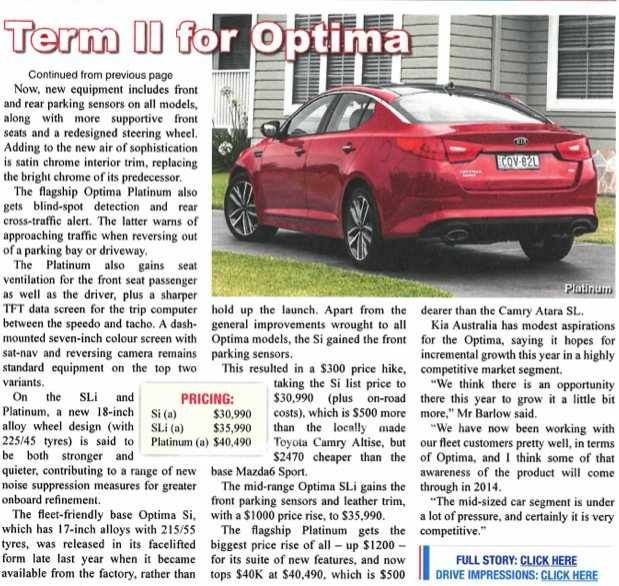 The side of the Cerato Koup has stayed similar to the TD Cerato Koup but with the addition of new alloy rims to the Turbo and Touring pack models. The Turbo and Touring pack models do come with the very handy addition of pocket lamps behind the door handles to help you see the handles at night time and puddle lamps to illuminate the side of the car while you are approaching the vehicle. At the back of the Koup you will notice the change in the tail lights from the previous TD model that have the addition of LED combination lights and the very helpful rear sensors that are accompanied by the reversing camera. 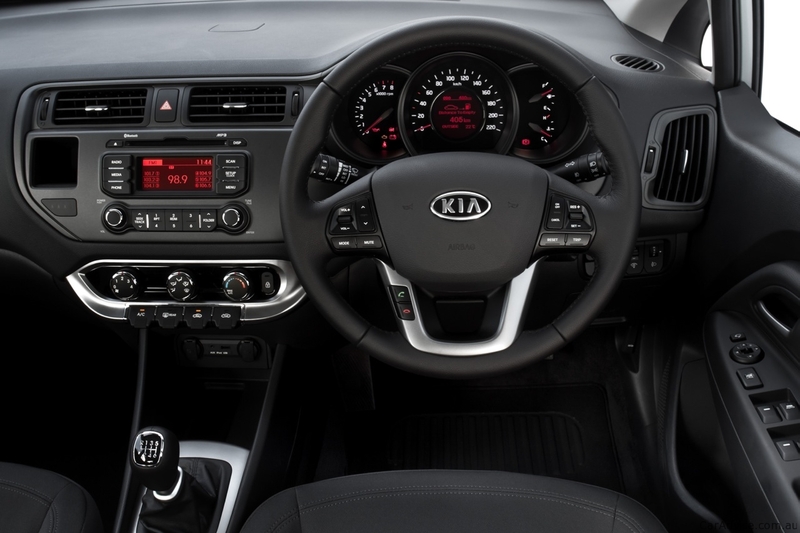 The interior of the Koup is hugely impressive and very well thought out, the SI and Turbo models both have a 4.3 inch touch screen head unit while the Touring pack model comes with a Satellite navigation unit with added features of having DVD play back while the vehicle is stationary. 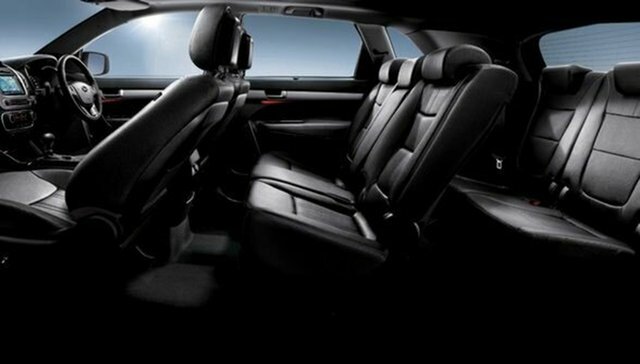 The Touring pack model also comes with leather seats and dual-zone climate control and an auto defog system for the windscreen. 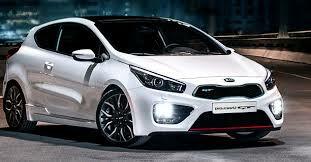 I believe that the new YD Cerato Koup is an amazing upgrade to the previous TD Koup and is bound to sell like crazy. Hello again my name is Julian McDougall and I am one of the friendly Sales Staff here at Toowong KIA. I thought I would write a blog on the Kia Sportage MY14 which is a recently released update to this much loved KIA. 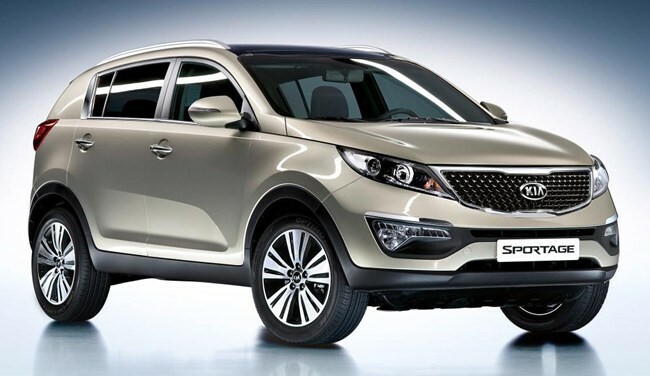 Standard safety features across the Sportage range include front, side and curtain (SRS) airbags, ESC (Electronic Stability Control), (HAC) Hill Start Assist, (DBC) Downhill Brake Control, ABS brakes with (EBD) Electronic Brakeforce Distribution & Brake Assist, and (ESS) Emergency Stop Signal. Standard features in the entry-level Si include a rear spoiler; cruise control; auxiliary and USB sockets, Bluetooth phone and audio streaming, and speed dependent audio volume control. In addition to the new SI-Premium model add reverse parking camera, LED daytime running lights, roof rails, partial leather seats and 17 inch alloy wheels. The SLI model come with the edition of front parking sensors, satelite navigation with the infinity premium audio system, 4.2 inch TFT supervision instrument cluster, dual zone climate control, cooling glove box and all-wheel drive. 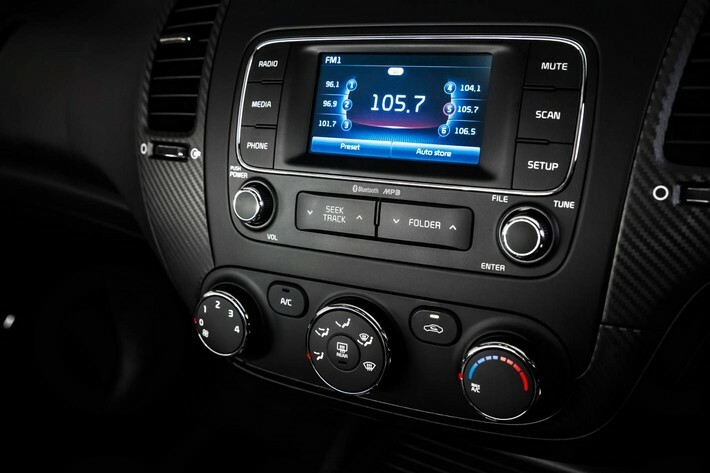 Sportage Platinum adds engine push button start/stop, leather trim seats and 8 way drivers power adjustable seat rear combination LED taillights, privacy glass, 18 inch alloys, panoramic sunroof, HID headlights (high intensity discharge) and front and rear seat warmers. 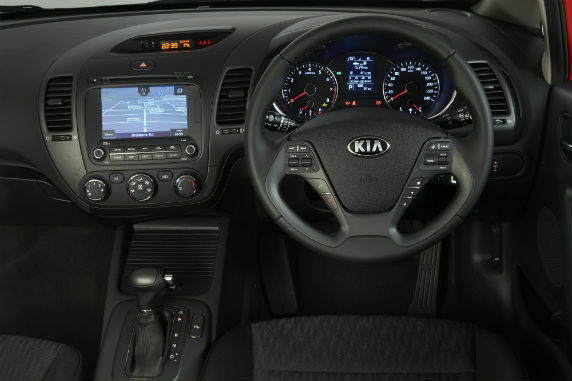 The Sportage has the option of either petrol or diesel engines both having a 2.0-litre capacity with the six-speed automatic transmission changing smoothly. I have worked for Toowong KIA for 1.5 years and it has been my privilege to experience, drive and sell a range of motor vehicles I genuinely believe in and every single test drive is an enormous pleasure. The best part is seeing the look on my customers faces as they experience a KIA for the first time or even return customers who experience an upgrade on a vehicle they already love to drive. I would totally recommend the Sportage to all potential customers from young first car customers, young/ young at heart customers looking for premium features in an SUV to parents and even empty nesters looking for a great looking, reliable, feature loaded and efficient vehicle. Hi my name is Lachlan Gibson and I am one of the new car sales consultants at Toowong Kia. Today I am writing a review on the Pro Ceed GT range. 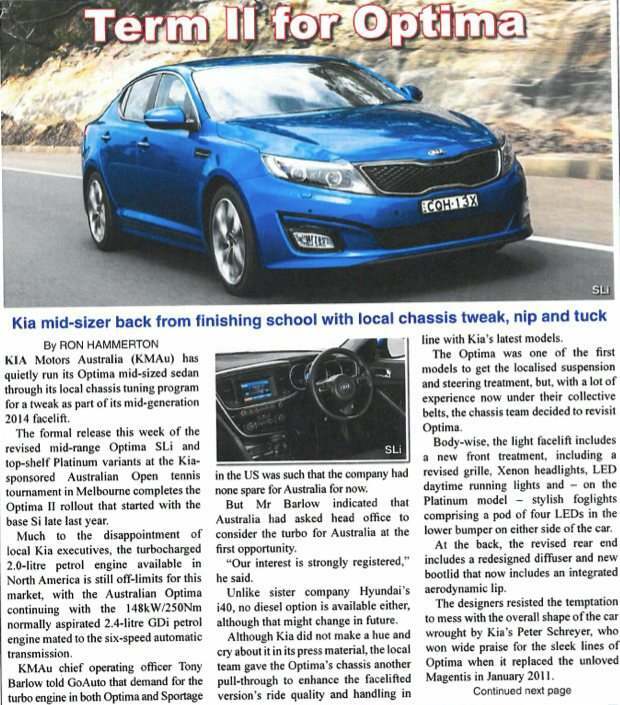 The Pro Ceed GT is Kias newest addition to the amazing line up they have released to the Australian market. Here in Australia we are fortunate enough to be one of the few countries around the world that have the chance to sell and drive this amazing vehicle. The Pro Cee’d GT is Kia’s new three door performance hatch which is fuelled by the same 1.6 litre turbo charged engine that is in the Cerato Koup turbo models, the major difference between the Koup and the Pro Ceed GT is that the Pro Ceed GT has had all of the suspension and handling components modified by Graeme Gambold. Graeme Gambolt was once the head suspension and handling engineer for Toyotas world rally championship team, together with Rick Bates who was the head driver for the same rally team they have modified and changed most of the suspension set up from the European version of the car to suit Australian road and handling conditions. Apart from the Suspension and handling of the vehicle it also looks amazing and has all of the features that you would want in a turbo charged hot hatch including leather and suede seats, shift knob and steering wheel all designed by Recaro rally. The interior of the car also features a full panoramic sunroof (tech pack only), climate control and the new impressive GT mode which changes the instrument cluster to a digital mode that displays engine torque, coolant temperature, turbo boost gauge and of course the digital Speedometer. The exterior of the Pro Ceed GT is elegant and impressive as well as continuing the state of the art technology the rest of the car has displayed so perfectly, at the front of the vehicle the Pro Ceed GT is sporting a new look Day Time Running light design which is referred to as the ice cube pattern. With the tech pack the front of the car is improved by having HID Headlights (high intensity discharge) which also have the added feature of being active cornering headlights, giving you more vison at night time. Down the side of the vehicle the Pro Ceed GT is sporting very sporty looking 18 inch alloy wheels that are wrapped in Michelin pilot sport tyres and give superb grip and had to the impressive handling of the car. The back of the vehicle the Pro Ceed GT is sporting twin exhausts, LED tail lights, rear fog lights, rear parking sensors and a rear view camera to assist the driver with parking the vehicle. 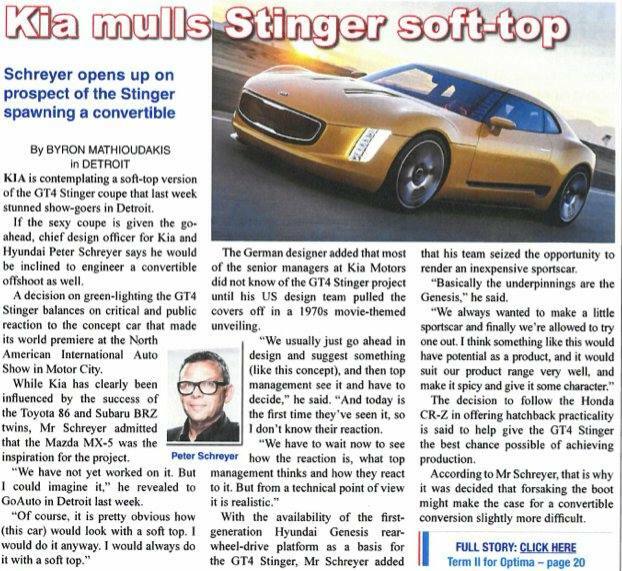 Overall I believe that the Pro Ceed GT is the best car in the Kia range and that it will be a very competitive entry into the hot hatch and coupe markets. In my opinion I believe that the Pro Ceed GT in my car for 2014 and that I would buy one in a heartbeat. Hello my name is Lachlan and I am one of the new car sales consultants at Toowong Kia. I have been blessed with the ability to drive the entire Kia range every day. I have decided to write a review on the amazing new Cerato S-Premium pack which has been released this month to the Australian market. The Cerato S-Premium pack is a new edition to the Cerato sedan and hatch range for a limited time only. On the outside the Premium pack features very stylish 16” alloys with a matching spare as well as Automatic Headlamp Control, six sensors (front corners and four sensors across the back of the vehicle) and a rear view camera to assist in the parking process. Under the bonnet you get a powerful 1.8 litre double over-head cam engine that produces 110kw of power and 178Nm of torque to the front wheels, the engine still remains economical with the combined fuel consumption of only 7.4 litres per hundred kilometres. 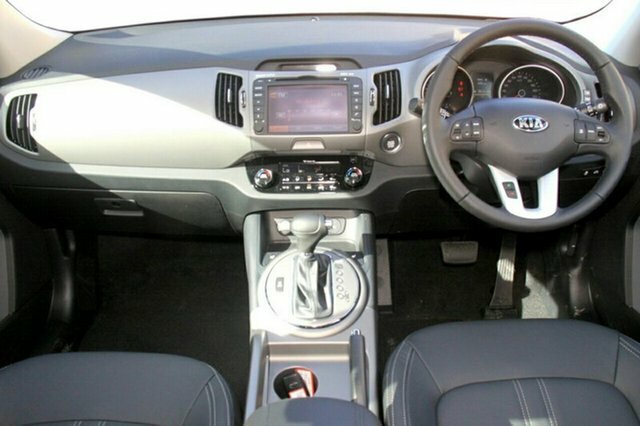 Inside the vehicle Kia have found a nice medium between the S model and the SI model by adding a few editions to the already nice interior. The Cerato’s interior comes standard with Bluetooth connectivity for phone calls as well as media streaming, cruise control for the long commutes to work, Flexsteer which allows you to select different drive modes from a comfortable feel which is ideal for city driving or parking lots, to a sportier feel which is great for highway driving and six airbags (drivers and passengers airbags, curtain airbags and front side are bags). 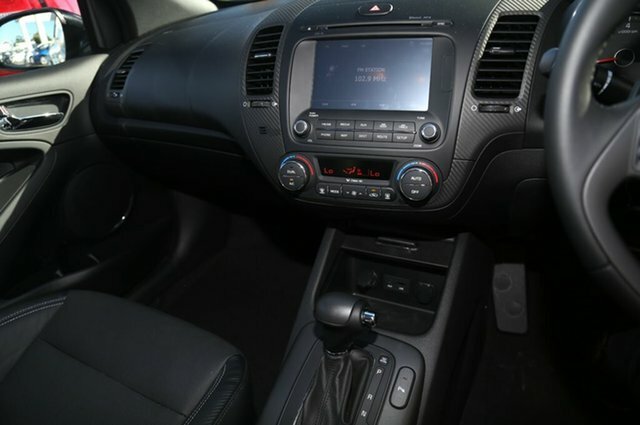 The editions that have been added to the Cerato for the S-Premium park are Leather wrapped steering wheel and shift knob, artificial leather wrapped instrument cluster and an in dash satellite navigation unit with DVD player (video playback only while stationary). 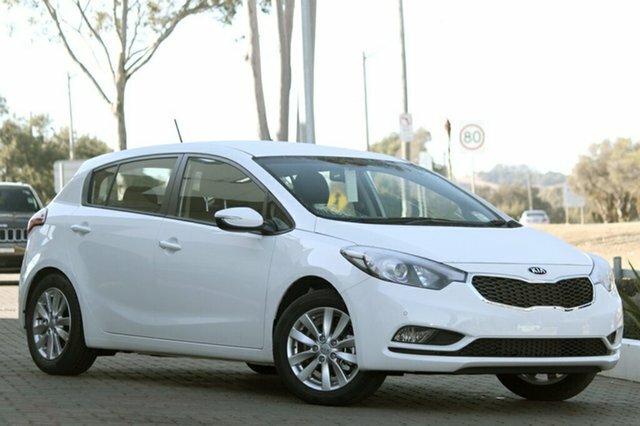 Overall I believe the Cerato S-Premium pack is an excellence addition to the already amazing Cerato range and would be perfect for anybody that is looking for their first car or even a second family car, I believe that these gems will not be available for long as the Australian market will surely be going crazy for them. Hello, my name is Mitch Hocking and I am a Trainee at Toowong Kia, I have had the privilege of driving the all new Sorento. What I really like about the exterior of this vehicle is the European shape and style lines that set it apart on the road. With features like day time running lights and alloy wheels standard across the range it really accentuates the modern look. A great feature of the Sorento is the rear view camera with in audio screen display and parking guidelines, I think it is great this is included in all trim levels and is not an added accessory as it does drastically improve rear visibility and this is especially helpful when parking in confined spaces. The vehicle also comes standard with front and rear parking sensors which together with the camera make parking much less stressful. The Sorento’s two engine variants, the 2.2L Turbo Diesel and the 3.5L V6 Petrol engine both drive beautifully. The Petrol is good on the highway having the more power making it easier to safely overtake but otherwise for a car with as much power as it does it drives very smoothly at low speeds. The diesel on the other hand is very good for hilly areas, with the car being as large as it is, the 4 cylinder still gets it up and going on any incline and getting it up to highway speeds all with a combined fuel economy rated at 7.3L per 100km in the Automatic. 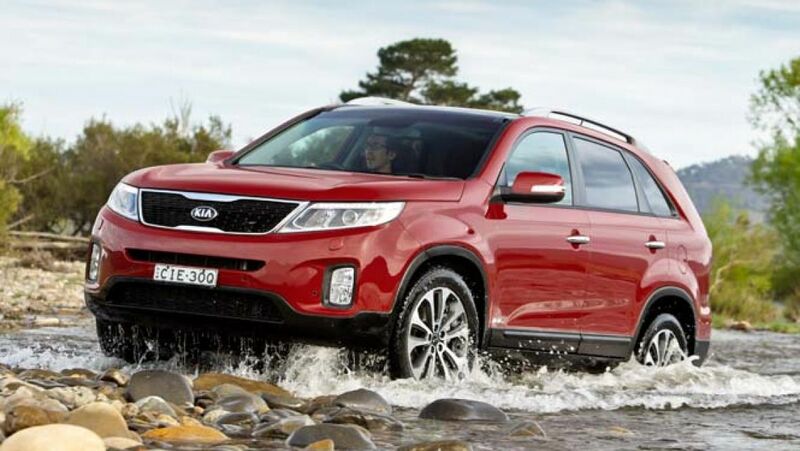 Overall for a large family SUV I think the Sorento is a great candidate for anyone wanting to move to a larger vehicle, with the broad model range and large number of genuine accessories it has everything you need in a car of its class. 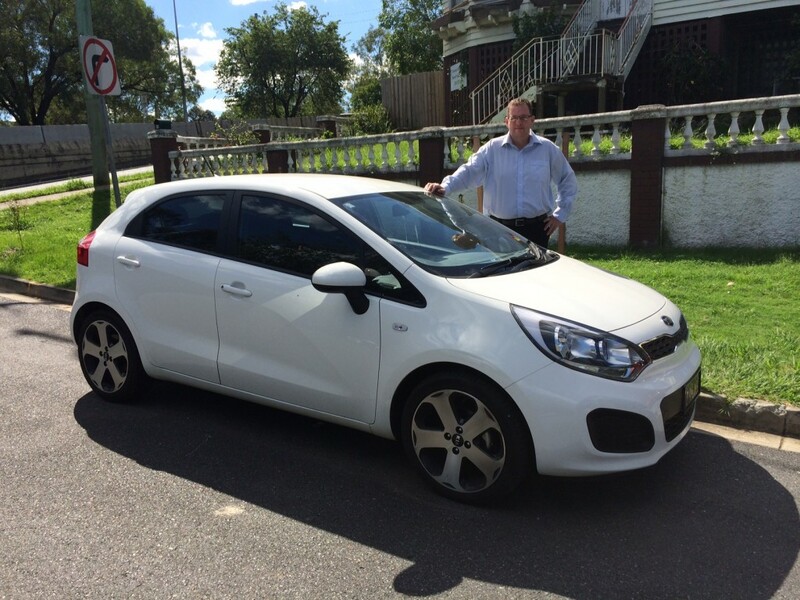 My name is Julian McDougall and I am one of the friendly Sales Staff here at Toowong KIA and I recently bought a KIA Rio S.
I thought I would write a blog on the Kia Rio of which I was so impressed, and which I enjoyed driving and showing to my customers so much that I chose to buy one myself. My Rio is the entry level S model with a 1.4L engine. It has a 6-speed manual transmission although it is also available with a 4-speed Automatic. I also opted to pay extra for the 17” Alloy wheels which come as standard on the SLi and SLS models as I think they look so good. All levels come standard with Anti-lock Braking (ABS), Electronic Stability Control (ESC), Vehicle stability management (VSM), Hill-start assist control (HAC), 5 Star ANCAP Rating with 6 SRS Airbags, MP3 compatible CD Player with AM/FM tuner, AUX/ USB input with iPod compatibility and Bluetooth connectivity. 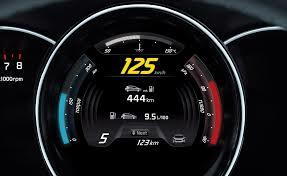 In addition the Rio is also available in the Si, SLi and SLS models with a variety of specification/ equipment levels. These include a 1.6L engine and they all come with a 6-speed Manual or 6-speed Automatic transmission. In addition to the larger engine and the 6-speed Automatic the highest specification level SLS comes as a 3 door model which is mechanically identical to the 5 door and which has longer doors giving a more sporting appearance appealing to younger or younger at heart customers. The SLS also includes Leather trim seats, Smart key with push button start, Remote central locking with keyless entry and boot release, Climate Control air conditioning including clean air module and auto defog system, LED Daytime running lights, LED rear combination lamps, Rain sensing wipers and 17” Alloy wheels including a full size spare with the same alloy wheel. Importantly the new Rio was awarded Carsguide 2011 Car of the Year, winning over all other eligible vehicles including the likes of the Range Rover Evoque. I thoroughly enjoy getting into my Rio S every day and importantly to me so does my teenage son. I would totally recommend the Rio to all potential customers from young first car customers, young/ young at heart customers looking for premium features in a smaller car to parents and even empty nesters looking for a great looking, reliable, feature loaded and efficient smaller vehicle. I have had the pleasure of driving the all New Turbo Koup. What I really find impressive about the front of this car is the LED fog lights along with a large wide grill for good airflow. A great feature of the turbo models is how they recognise the proximity key in your pocket as you approach the vehicle. The electric side mirrors will fold out while light projects down at the ground. The door handles will also illuminate and just push a button on the door handles for easy access into the vehicle. As a standard feature you get front and rear parking sensors as well as a reverse camera, which really impressed me. 18” alloys fill the guards with the charcoal inserts, looking sporty and really set the stylish image of the Turbo Koup.